In today’s competitive marketplace, project managers are seeking as many ways as possible to differentiate themselves from their peers and further their careers. A project manager may start at a junior level, then work his or her way up in an organization, gradually taking on more projects and gaining valuable experience. As they execute more projects on time and on budget, their salary will increase. One key credential can help differentiate a project manager to company executives and hiring managers, resulting in a notable salary increase. That credential is the Project Management Professional (PMP)® designation, offered by the international organization the Project Management Institute (PMI). 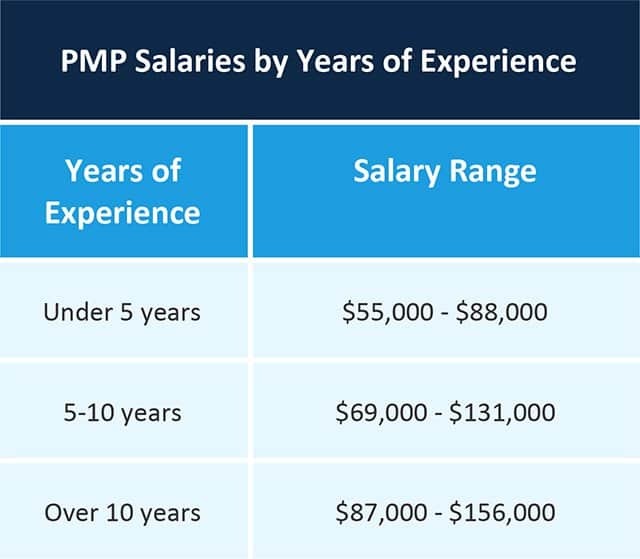 Project and program managers who have taken the PMP exam and acquired the official PMP certification often see a significant bump in salary as a result. In this article, we’ll define the PMP certification and what it entails, as well as explain its value to employers and hiring managers. We will show current salary ranges (by industry, geography, and years of experience) for PMP-certified project managers and the increase over non-PMPs. Additionally, we will hear from a nationally recognized PMP “boot camp” exam preparation expert on why the designation is even more valuable in 2018 and beyond, and how to sell those credentials to employers so that you can increase your salary. Definitions: What Is the PMP Designation in the Context of Being a Project Manager? What Is a PMP Certification Worth in 2018? Getting the PMP Certification: Is It Worth the Investment? The PMP Certification: Why Is It Worth 20 Percent or More in Salary? Once You Get Your PMP Certificate, How Do You Get That Raise? First, let’s go over some key definitions. A project manager is someone who handles a project inside an organization, typically overseeing the efforts of multiple contributors toward a specific goal or end result (for example, the design of a proposed building, a set of ads for a client, and so forth). Projects generally come with assigned budgets and timelines, and the project manager’s role is to ensure that both are met. The Project Management Institute, or PMI®, is an international accrediting organization; it’s a resource for project managers, a membership group, and the most prominently recognized body that identifies roles and responsibilities of project managers. The PMI holds the certification exams and awards the PMP accreditation. PMP® certification is the official recognition of someone who has taken the PMI’s PMP exam, which is administered several times a year in cities all over the world. The exam itself is somewhat similar to the bar exam for lawyers, in that candidates must master complex topics to pass the test, though project managers don’t need a PMP to do project management work. 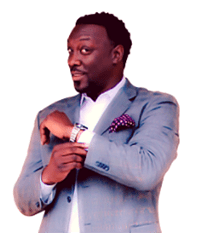 However, a project manager with the PMP certification can expect a significant increase in salary. A PMP project manager is well-versed in the PMI-designated sets of skills, processes, and goals that are easily transferable from project to project and company to company. In fact, more and more organizations, including the U.S. federal government, are requiring PMP credentials for job applicants filling certain roles. The Certified Associate in Project Management (CAPM)® is also offered by the PMI and is sometimes seen as an alternative to the PMP (or a first step toward becoming a PMP). This exam has lower eligibility requirements. The PMI offers a variety of other project management and business accreditations as well. When considering getting a PMP certification one of the big questions is: How much is it worth? The answer depends on several variables, which we’ll explain below. However, the short answer is: 10-22 percent of your salary. That represents a hefty jump in a typical non-PMP salary. We aggregated the salary information for project managers from companies including PMI, PayScale, Glassdoor, Indeed, Salary.com, Monster.com, Careerbuilder.com, the Robert Half Company and Angel List (a new website focused on startups). 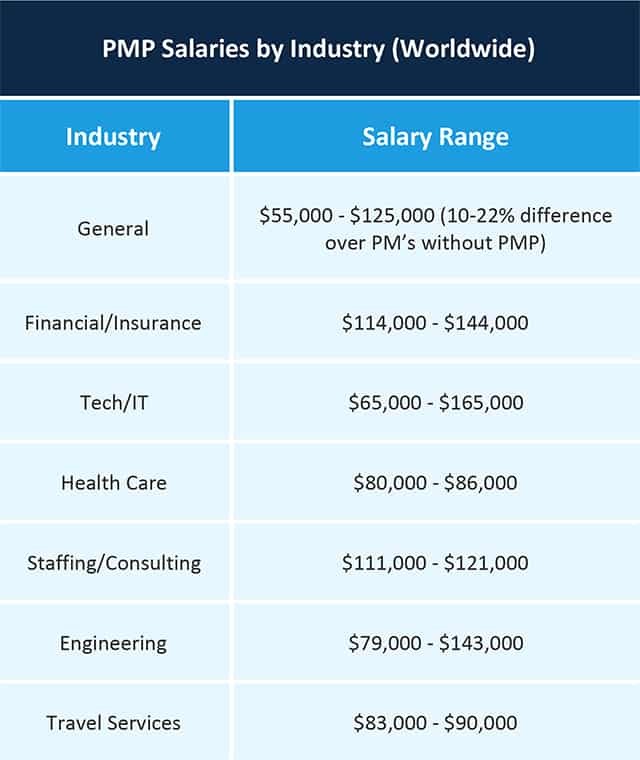 The first chart shows the salary ranges that a PMP project manager can expect to make, by industry, in 2017. 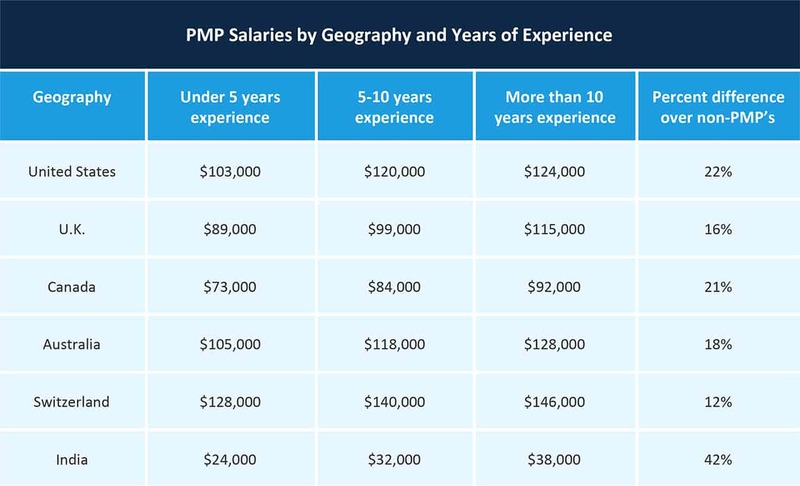 The second chart, supplied in the PMI 2015 annual report, breaks out non-PMP project manager salary ranges vs. PMP project manager salary ranges, based on years of experience and geographic location. The differences can be remarkable. PMI states that a PMP certification in the U.S. is worth an aggregate 22 percent more in salary than that of a project manager without one. In Canada, that delta is 21 percent; in India, a growing market for project managers, especially in technology, the difference is 42 percent. The industry can make a difference too. At the lower end, a travel services PMP project manager in 2017 can expect to make $83,000-$90,000, according to PayScale. In the financial and insurance industries, PMPs typically make between $114,000 and $144,000. Both salary ranges represent a 20-22 percent increase over non-PMP project manager salaries. Daniel says there is even more opportunity when the newly certified PMP project manager can add the credential to her resume and get hired by another company. “I see people who can make $38,000 more a year after getting the accreditation,” Daniel says. So what does it cost to get there? The PMI’s PMP exam costs $405 for PMI members in 2017, and $555 for non-PMI members. Boot camps and preparation courses can cost a couple of thousand dollars (Daniel’s currently costs $2,800), and include several practice exams. The largest differential is noted in South Africa where PMP holders have a median salary 47% higher than those who do not hold the certification. In Taiwan and Saudi Arabia, the median salary of those who have been certified for 10 or more years is more than double those who have been certified for 5 years or fewer. Titles that a PMP-certification project manager might have: Director of project management office, portfolio manager, program manager, project manager III, project manager II, project manager I, project management specialist, project management consultant. Because of the Program Management Improvement and Accountability Act (PMIAA), signed into law by President Obama on Dec. 14, 2016, many federal government project management job will require a PMP certification. Initiating a project: The project manager should ideally play an active role in the initiation and prep work for any project before kickoff. Planning: A PMP project manager will know how to take a critical look at the project fromthe beginning and throughout its lifecycle, and request the appropriate resources such as people or equipment. Controlling and monitoring: Change will affect every project. The PMP teaches project managers how to keep project deliverables on track, and how to adjust course if things change. Closing: The project manager delivers the assets of a project to the stakeholders or clients, wraps up the budget, and does any necessary follow-up. Since PMP certification ensures that a project manager knows what needs to happen in each of these five phases to ensure consistent delivery of a project on time and on budget, the certification has earned its value, Daniel explains. Years of Experience: A project manager PMP with between five and ten years of experience will make an average of $25,000 more than one who has been working under five years. Someone with more than ten years’ experience will, in turn, make an additional $15,000. Industry: As discussed above, some fields like technology and insurance/finance pay more than nonprofits or travel industry project manager PMP positions. Supply and Demand: As with any workforce skill set, there can be a glut in one area and a shortage in another. In India, for example, a sharp increase in the demand for project manager PMPs means that professionals in the field there are making 45 percent more than their counterparts who lack certification. Geography Inside the U.S.: Salary ranges are higher for project manager PMPs in big cities and along the West and Northeast coasts, according to Daniel. In Washington, D.C., project manager PMPs can make upwards of $130,000 a year. Gender Gap: PayScale did a comprehensive study in late 2016 that looked at the gender pay gap in corporate America. It found that despite education and accreditation, women still earn noticeably less than men. For example, the study found that both men and women recommended to participate in leadership training (such as the PMP) earn more money than their counterparts who have not, but that men see a greater pay increase than do women. In December of 2016, President Obama signed into law the Program Management Improvement and Accountability Act, which seeks to codify and standardize the training of project and program managers in roles in the federal government. According to the PMI, this means that many more federal jobs will now require that project and program managers have official PMP certification to ensure they have as many skills and the necessary background to be as effective as possible. The ultimate goal is for more federal government employees to be more efficient in their jobs. “We are thrilled that this significant piece of legislation has been signed into law by President Barack Obama,” says PMI President and Chief Executive Officer Mark A. Langley when the law was signed. “PMIAA will help maximize efficiency within the U.S. federal government, thereby generating more successful program outcomes and increasing the value that Americans receive for their tax dollars.” It also means that there is even more incentive for project managers to seek PMP certification. It can be challenging to find salary information when not all sites or organizations use the same terminology. Some sites, like Salary.com, prefer to call levels of project manager experience “Project Manager I,” “Project Manager II,” and so on, with no real mention of PMP certification. We would all like to know whether and how a PMP certification changes the pay from Project Manager I to Project Manager II. Unfortunately, that particular salary data isn't available yet. To obtain more information about project management salaries, visit PayScale.com and take a quick salary survey. PayScale.com collects real-time salary information to help build out a free public salary research center, so everyone can see if they are receiving fair compensation. As more companies, organizations, and the public sector seek PMP-certified project managers, however, some predict that there might be more standardization across industries. Chris Daniel suggests that you speak to your employer about springing for the exam fee and boot camp training prior to beginning the certification process. In fact, he has helpfully prepared a PMP justification document just for bosses. This is also a good time, he says, to ask about the raise that reflects the additional accreditation, which will give your organization that much more standing with stakeholders and clients. It’s possible your current employer may opt to pay for training and the test, and not necessarily give you that big raise immediately. However, the certification is great leverage for the next annual review and raise — and it should be even easier to receive that 15-20 percent raise with your next employer. To show the value of the PMP certification to your company (especially if you are one of the few to attain it), consider giving an internal presentation to the executive and account teams. They, in turn, can play up your company’s project management PMP offering as a key differentiator. Finally, make sure to update your resume and your LinkedIn profile with your PMP credential information, and add any key details about the certification that resonate in your current role and industry. Make sure profiles on other networking groups mention it as well. As a certified project manager, you’ve clearly upgraded your skills, so it makes sense to upgrade your tools as well. Switching to Smartsheet is the next step you’ll want to take. Smartsheet is a work management and automation platform that enables enterprises and teams to do their job better. With Smartsheet, you can hold yourself and your team accountable, improve visibility into project priorities, and ensure nothing slips through the cracks, as well as connect planned and actual spend with team activity, track to targets, and maintain transparency for portfolio financials. Over 70,000 brands and millions of information workers trust Smartsheet to help them accelerate business execution and address the volume and velocity of today's collaborative work. Project managers can easily use Smartsheet to standardize key project elements, increase speed, and improve collaboration with scalable options that fit individual work preferences. With Smartsheet, you can run self-service reports and create customizable dashboards to get real-time visibility into resources, status, and performance, so you can rapidly align operations to strategy. 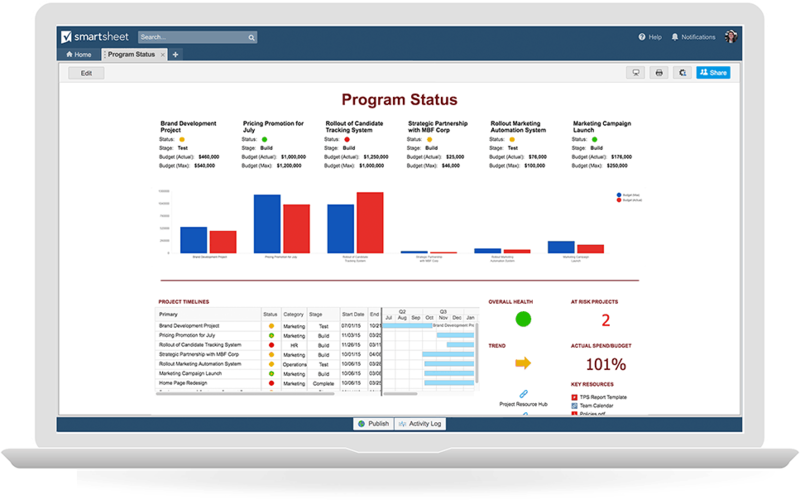 Are you interested in seeing how Smartsheet can help you manage projects and improve your business processes? Try it absolutely free for 30 days. *The Project Management Professional (PMP) is a registered mark of the Project Management Institute, Inc.